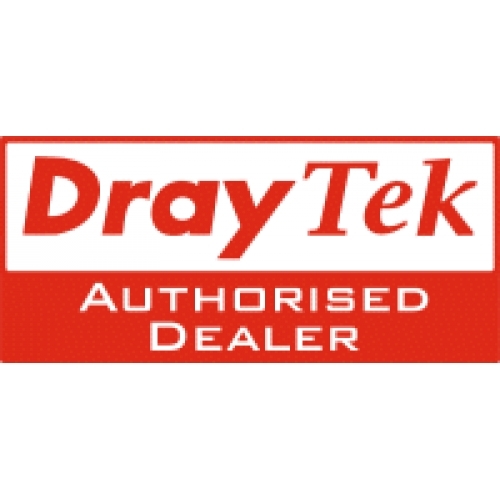 **PLEASE NOTE** this version is for 2820/5510 series router only and the Licence is emailed to you, as of 10/08/2010 Draytek are supplying all the resellers with email license keys and not a box through your front door, If you wish to have the physical key posted please select that option on check out and we will post the key to you aswell as emailing it through. As DrayTek WCF is performed by your router - your point of entry to the Internet - it is far more difficult to circumvent than software solutions installed on each client/PC and applies to guest PCs too (laptops etc.). Blocking/filtering can be selective for certain users or groups too, so that, for example, managers can have less filtering imposed than other users and time schedules can apply these content filtering for specific time periods only. Whilst the Internet can be hugely beneficial to any home, both for adults and children, there is also the opportunity for it to become distractive, over-consuming as well as risky. For children, a common use of control control is to block inappropriate content, such as web sites with sexual, violent or other adult-oriented content. That's the inappropriate content, but even age-appropriate content can be undesirable. Facebook might be great for your teens, and CBeebies for your younger children, but not if they are supposed to be doing something else. Many parents want to control access to the Internet, for example allowing access to acceptable web sites for specified times of day only. For your adult users in the home, you may want to block access to sites which have a high probability of being infected with malware. You may also wish to block your own computers from sending emails in case of trojan/zombie infection. There are infinite combinations of content filtering and firewalling you might want to impose in your home. The Internet provides your business with an effective, useful and often essential facility. Your staff can use it to find quick answers, liaise with customers, send and receive emails and many other productive tasks. Unfortunately, the Internet also provides the opportunity for mis-use. 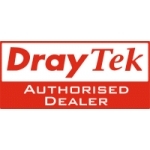 DrayTek products can help you restrict, control and monitor staff Internet usage. Staff using your Internet facility for time-wasteful activities are costing you. Even more importantly these activities can put your businesses computers and network at risk. A recent survey of 10,000 employees indicated that 44% admitted to spending time on the Internet for personal use, for up to 2.1 hours per day. Most staff are responsible and prudent with their Internet use and we always recommend a suitable AUP (Acceptable Use Policy) to be in place so that staff or any users of your systems know what they are and aren't permitted to use the computers for. This AUP can be re-inforced by DrayTek routers which can block specific content (either at certain times only or all times) and also block potentially harmful file/code types from being installed by rogue web sites. There are some staff who will make severe abuse of the Internet facilities - spending literally hours on personal matters or social networking sites. Personal Email: Hotmail, Gmail, Yahoo etc. Intant Messaging: MSN, AOL, Yahoo etc. Social Networking: Facebook, MySpace etc. Buying: Using Amazon, Ebay etc. Multimedia : YouTube, iPlayer etc. It's easy to let a 'quick visit' become a prolonged stay without realising and losing track of time. All of the above activities can be immensely time consuming and addictive. What doesn't quite make the list but could be even more serious in its consequences is adult or illegal material being accessed in the workplace, as well as the higher likelyhood tht such sites are infected with malware which will then get onto your business network. There is also the potential to 'innocently' download software and install it on local PCs, unwittingly introducing spyware or trojans onto your network. Features 1,3 and 4 above are included with the router. Feature 2 is included but requires an annual subscription to the external server which keeps a real-time contstantly updated database of web sites. More details of that later. The URL blacklist and whitelist feature is included as standard on all supported DrayTek routers. GlobalView covers 64 separate categories which you can select as blocked or permitted. Every time one of your users attempts to access a site, the router's automatically queries the central GlobalView server to ascertain its classification. This takes only milliseconds. If a site is blocked by GlobalView, according to the categories you have selected, instead of the requested web page, a warning message is displayed to the user (you can customise the message). The GlobalView central database is continuously updated with new sites and changes to sites but also records normally legitimate sites which have become compromised or contain malware (a unique feature to GlobalView). Access to the GlobalView server requires an annual subscription. A free 30-day trial is included with all new routers so that you can try the feature out before subscribing. Scroll down the box below to see the 64 different categories which can be blocked by GlobalView, either permanently or at certain times of day/week according to your chosen schedule and for the PCs you choose. Block download of executable (EXE) or compressed (ZIP) files to reduce the chance or virus infection or installation of untested software. Block Peer-to-Peer (P2P) software such as BitTorrent, to avoid users using vast amounts of your bandwidth or engaging in media piracy. At Home, block Instant Messaging protocols to prevent your children from unsupervised chat with strangers. For detailed list on the protocols and content type which can be blocked, Click Here. This is a more technically complex method. All data sent across the Internet is sent as a 'data packet' between devices (for example between your PC and a web site) Each device has its own IP address (such as '194.194.123.18'). In addition, each data packet can be one of several data types (TCP, UDP, ICMP etc.) and may also have additional information such as TCP port numbers. Don't worry if this all sounds a bit complicated; the useful factor here is that these packets can be distinguished and therefore rules can be set up on the router to block or pass packets which match parameters you choose. Examples of useful IP filters might be to block incoming mail from all but known mail servers, or to allow access to your internal web server from all addresses except known remote locations. IP Filters can be nested so that a chain of filters can all be tied together and data passed only if one of, or all of the rule criteria are met. As we said, it's a technically complex feature but immensely powerful. Note : Although we include IP filtering here, most users actually consider that to be part of the main firewall features as it's not filtering 'by content' as such.